Valentines Day is coming, and The Blueberry Patch is ready! and The Blueberry Patch has you covered!! All the new beads will be here and ready to give to your sweetie. An remember, Buy 3 beads and get 1 FREE! Learn all about your favorite teas and sample them while you try chocolate recipes that are luscious and easy to prepare! 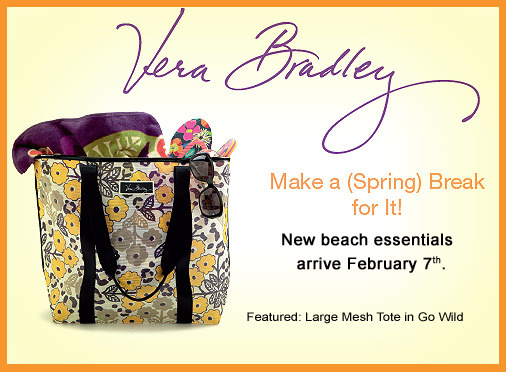 New Spring Vera Bradley patterns are GREAT! 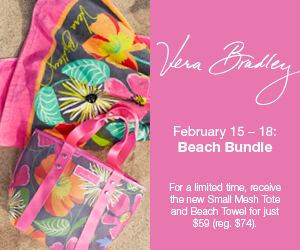 This Saturday & Sunday, receive a FREE GIFT with any regular- priced Vera purchase of $50 or more! We also have a wonderful selection of Retired items at 25-50% off! New Spring scarves and jewelry are in! Stop in to see the new colors and styles for Spring! 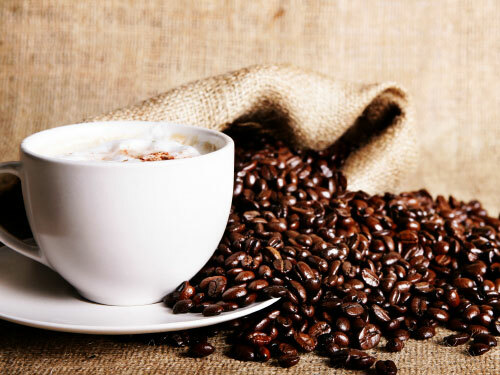 Try a pot in our cafe or take some home with you to brew! What better flavor for Valentines? In-House Roasted Coffee... Great for gifts and for everyday enjoyment We can ship up to 2 LBS anywhere in the Continental US for just $7!